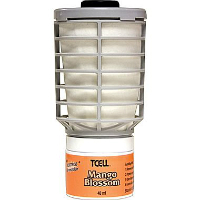 The T-Cell/Kim Care continuous fragrance oil system is ideal for the bathroom, laundry room, dormitory, nursery, or any small room where you desire odor neutralization and a fresh, clean scent. New and improved system is battery operated with continuous operation fan to help propel the scent throughout the room for optimized fragrance and odor neutralizing. Mount on a wall with optimal air flow. 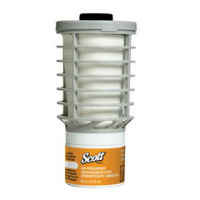 The SCOTT® Continuous Air Freshener System will keep your restrooms fresh, your costs down – and your maintenance at a minimum. Economical and easy to use, this system requires no batteries. 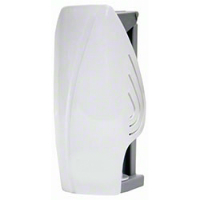 It dispenses continuous fragrance around the clock, 24/7 for up to 60 days on a single cartridge. The refill and dispenser are non-aerosol and the fully recyclable refill contains 48ML of fragrance.